Arlene is a Certified Personal Trainer who has been working with clients for the past 4 years. Arlene lives in Uxbridge with her husband and two children. 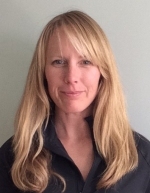 She enjoys long walks in the forest with her dog, snowmobiling, wake surfing, and canoeing at the cottage and is always able to find a spare moment or two for reading. Go back to team page.